I feel lucky, excited, nervous and happy to welcome Jonas Peterson back to the podcast for the one hundredth episode!Â Jonas is one of the most sought after destination wedding photographers around the world. His work is heartfelt, true and recognisable. In this episode, learn how to use storytelling through yourÂ photography for impact and uniqueness. Unique storytelling is how Jonas’ style is mostly described and it’s somethingÂ that he practices and teaches around the world. It’s exactly what he does and what makes his weddingÂ photography stand out. Following this interview, Iâ€™d love to know what your biggest takeaway is â€“ what is the one thing that youâ€™d like to implement or learnt from what was shared? Let me know by leaving your thoughts in the comments below. If you have any questions that I missed, a specific question youâ€™d like to ask Jonas or if you just want to say thanks for coming on the show, feel free to add them below. After reading your email, I just had to sit down and reply. I want to tell you how your podcast has made a difference in my year. This was the first year I went out on a limb and sub-leased a space within a hairdressing salon for my own little studio. It was a slow start but it’s proven to be a great success! I decided to invest in some targeted resources that would “make my ship go faster” as Sue Bryce would say. One of these was your podcast. I listened to it most weeks on my way to a weekly mentor workshop with a professional photographer here in Adelaide. - One big influence was Steve Saporito The Portrait Doctor. He convinced me in the interview to invest in ProSelect and display what I want to sell – albums, image boxes, wall art. I was also impressed with Matt and Katie’s advice about in person sales and have had some very good sales successes in the past three months. - I also had a question addressed by Steve and Matt in the QandA podcast which was very cool! - I finally got into Instagram and found I really enjoyed it! I want to focus more on this next year. I was amazed to hear how influential it is now. - I tried the Competition Box strategy and it worked great! Â – Partnering with vendors. Â – Outsourcing editing- I was impressed with Min Wye’s experience (ep 90) and decided to try Lavalu for outsourcing my wedding editing. - Shooting my first 10 weddings free. As recommended by an Aussie wedding photographer. Next year = paid bookings with a $2000 – $5000 pricing range. - Tave Software management – recommended by a pet photographer. I’d be finished now without Tave. Google Adwords – trialling this for six months and have already had one lead for a meeting on Friday. From today I’m testing to see if publishing my price list is better – i see i’m getting a high bounce rate on my website. I couldn’t pinpoint the names of some of the photographers from my list so I’m going to revisit the podcasts in January and work out who said what! It’s not an exaggeration when you say the podcast will take your business to the next level. You’re spot on when you say that implementing the advice will really work. It does, but you really have to put the work in. Thanks for the book gift. I downloaded it straight away and can’t wait to get stuck in! Cheers, hugs and all the very best for you and your family in the New Year. Are you a NEW listener? Ive been trialing a new marketing idea for the podcast with hand written letters to wedding and portraitÂ photographers in Seattle, Phoenix, Sacramento, Tacoma, Salt Lake and Denver areas. I’d love if you are the recipients of one of my letters to let me know you’re now listening to the show. 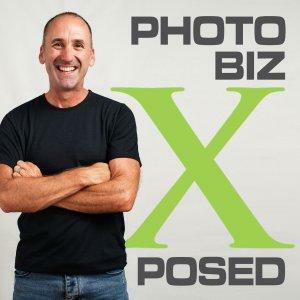 Simply shoot me an email atÂ andrew@photobizx.com to say hi, I’d love to hear from you. Kristen Kalp from episode 92 of the podcast is about to kick off a new online course to help with yourÂ photography business. There are early bird prices available for the first 100 people to sign up at $199 after which, the price will increase to $499. If you downloaded Kristen’s book “Go Your Own Way” and loved what you heard on the podcast from her, this course may be exactly what you need to kick-start 2015. Thank you again for listening to the show and thanks JonasÂ for being an awesome guest! If you have any suggestions, comments or questions about this episode, please be sure to leave them below in the comment section of this post, and if you liked the episode, please shareÂ it using the social media buttons you see at the bottom of the post! Thatâ€™s it for me this week, hope everything is going well for you in life and business! The post 100: Jonas Peterson – How to Use Storytelling Through Your Photography appeared first on Photography Business Xposed - Photography Podcast - how to build and market your portrait and wedding photography business.